CubCrafters Top Cub | Wipaire, Inc. Whether you use your Top Cub for work or play Wipaire can help you get the best performance, and the most enjoyment, during your flight time. 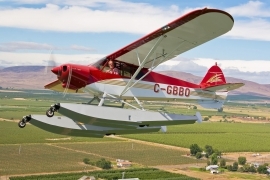 If you’ve been dreaming of flying your Cub right to the lake then take a look at the Wipline 2100 Float. Amphibious or Straight models are available for the CC18. Wipline Floats are known for both performance and durability and with almost 50 years in the business you can buy with confidence knowing that we’ll still be here to support our products for years to come. Maybe your Cub has seen better days. With a full service Refinishing and Interiors department we can get her looking good as new. While she’s here our Maintenance team will get her running at the top of her game and with an Avionics upgrade you’ll be enjoying your air time even more! Wipaire’s aircraft services team prides itself in providing world-class services with the most comprehensive facility in the Midwest. Having full-service maintenance, painting, interior and avionics facilities under one roof is key to assuring minimal ground time for your aircraft and simplifying the process. 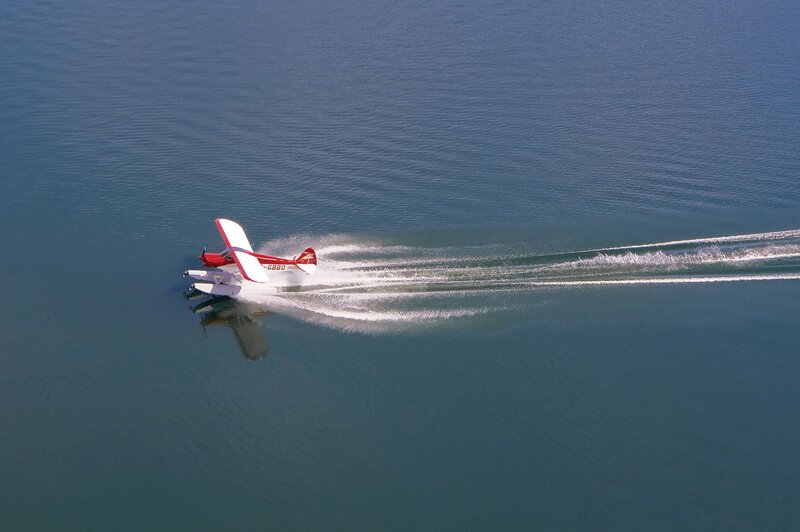 We also offer a ferry service if it is not convenient for you to bring the aircraft to our facility. Our reputation for quality and convenience is widely known throughout the industry. Wipaire can get your Cubcrafters Top Cub running, and looking, better than ever. Take a few minutes to browse this page to learn more. If you already have an idea what you need then please contact us to request more information. Whether your dream is to tour the majestic mountains of the Idaho back-country or dance above the tree tops on the vast northern Canadian Shield, Wipaire can outfit your Top Cub with the versatility you need. A set of Wipline 2100 floats provide simplicity, solid handling characteristics and performance to your aircraft, giving you the freedom to explore. and available for retrofit on Wipline-equipped aircraft. Wipaire’s Avionics division offers a full array of navigation, weather detection and communication technology. Wipaire offers avionics services at both our South St. Paul, MN headquarters and our Leesburg, Florida location. We are a certified Garmin dealer, as well as most other major brands. We have the experience and resources to transform your cockpit to glass. We can also repair any problems with your existing avionics system. The Wipaire team will work with you to create the features you need to ensure a safe, smooth, enjoyable ride. Sales & installation of new custom avionics suites. If the answer is “no” we can help! Book your slot now for future installation. Click here to get started by completing a simple questionnaire. If your interior is starting to show its age then why not upgrade! Wipaire’s aircraft interiors facility is able to do anything from small repairs to complete interior renovations, we’ll work with you to formulate the interior that fits your needs. 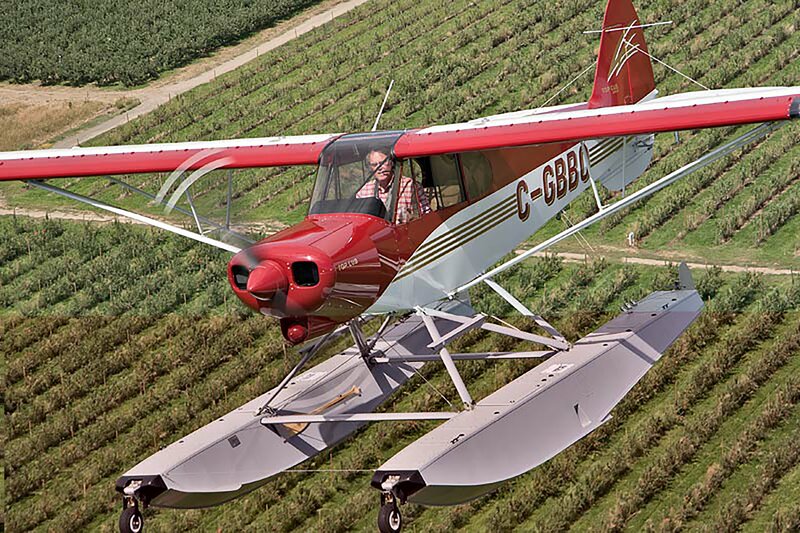 Wipaire has been providing aircraft maintenance and float installations for over 25 years. Wipaire is an FAA certified repair station. We can complete any of your restoration or upgrade needs. From annual inspections to wing tip extensions to vortex generators to engine upgrades, major to minor, we are here to help. On or off site borescope inspections, image capture capability for download if requested. Full lead acid battery service. Weight and balance service, float plane and land plane. Float removal, storage, inspection and repair. Pre buy inspections for buyer or seller. Visit our maintenance page to learn more about our full range of services. Don’t wait to take care of your plane! Click here to submit a proposal request and we’ll get back to you ASAP. If you can imagine it we can make it real. Paint is custom designed and matched to existing elements and can be as simple or exotic as you desire. Airbrushing art and custom decals are part of our everyday processes. Experience and intricate attention to detail are our foundation for creating the highest quality product.